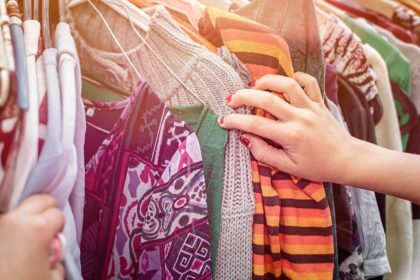 Community Closet is a ministry of the Five Point Cluster of Unitarian Universalist churches of Brockton, Easton, Canton, Foxboro, Sharon and Stoughton. It is physically located in the Brockton UU Church, 325 West Elm Street. A volunteer group of members from these churches do all the organizing, set up and hosting of this free clothing outlet. They first opened the Community Closet to in September 2017. It is now open to visitors on the second Saturday of each month from 10 AM to 2 PM. The “Closet” has two rooms of gently used, clean seasonal clothing from which visitors can select their own clothing. Each adult that enters is given one tall kitchen plastic bag to put their selections in. The organizers do not ask for any verification of need at all. They have been working with social service agencies to help reach families and individuals that may best benefit from this service. The Social Justice Committee of First Parish Bridgewater has agreed to support this worthwhile ministry. We are not appealing for money, but for gently used clothing for people of all ages, appropriate for the season. And the Community Closet always need new toiletries and self-care products, such as soap, toothpaste, shampoo, feminine hygiene products, makeup, toothbrushes, etc. Regular, travel and trial sizes are all fine. We will collect donations at worship services at the Bridgewater church, beginning on August 5th. Please put your donations in the large box labelled Community Closet on the bench in the hallway between the Sanctuary and the UPH. Then we will bring them over to the Brockton UU Church on the first or third Wednesdays of each month, when it is open for donations. There’s also a food donation box on the bench for the Bridgewater Food Pantry, which we encourage you to fill on Sundays as well.